Robert Studied with Alice Farquhar, Iola Shelley and Johannes Giessen in New Zealand and later with Steven MacIntyre and Jean Starling in Melbourne. He passed his LTCL and LRSM diplomas in New Zealand while studying medicine. In his first year of Medicine in Christchurch he was awarded the Union in Graduates in Music prize at Canterbury University. During his medical studies in Dunedin he performed on national and local radio. 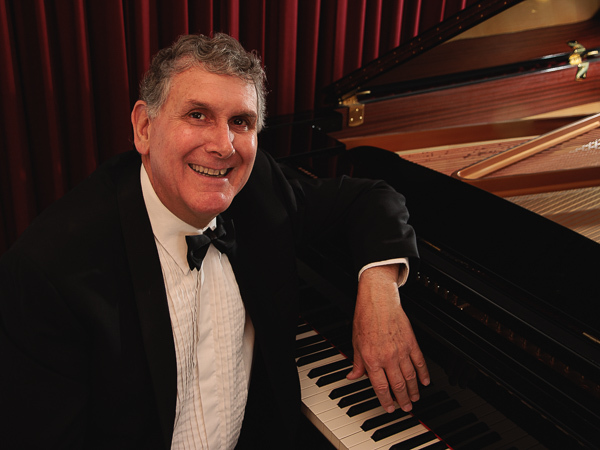 He has played works including the Liszt second piano concerto and the Rachmaninov Rhapsody on a Theme by Paganini with orchestras in New Zealand and Australia. He has performed with a number of international artists including David Pereira, Jack Glatzer and George Zukerman. He moved to Melbourne in 1991 and undertook PhD studies at the Walter and Eliza Hall Institute of Medical Research. Since coming to Canberra in 1996 he has appeared as a soloist, accompanist and chamber music player. Robert is a Fellow of the Wesley Music Centre. He currently practices as a specialist in endocrinology and diabetes in Canberra and rural New South Wales.